Our Venor Hall will be open for business from 12.00 noon till 6.00pm. Vendors can check in for setting-up their tables at 11.00am. Breakdown will start at 6.00pm with all vendors requested to the room by 7.00pm. Note: Vendors who woud love to attend 'SCREENING 04' in the evening are eligible for a free complimentary ticket. (Plus a guest if there will be 2 people operating a table on the day. Please request your free ticket(s) when booking your table. That way we'll know how many tickets to keep in reserve. Thanks! SESSION 01 (90 minutes) 12.30 pm: Our first theater session begins with an animation-packed, 90-minute screening of some of the finest short films from around the world - all competing for the DRAWTASTICON festival’s respected ‘Golden Pencil Awards’. This marathon session kick starts the festival by introducing films from some of the finest young animation talents out there. Note: A full screening of all the ‘Golden Pencil Award’ winners will take place at the beginning of the evening session (7.00pm) – followed by an exclusive screening of the Annie-nominated European sensation, ‘Long Way North’. The audience at this evening session will also be able to vote for their ‘Best of Fest’ festival award, having seen all the winning films in every category! $5 BUY YOUR SESSION 01 TICKETS HERE! $10 BUY YOUR SESSION 02 TICKETS HERE! $10 BUY YOUR SESSION 03 TICKETS HERE! Our final screening session of the day will be the announcement & screening of award-winning films in each or the categories. Each winning director will be presented with one of our respected 'Golden Pencil Award' for their work, whether they be in attendance or have them forwarded to them after the event. The huge bonus event this year is a very special screening of the Annie Award-nominated movie, 'A LONG WAY NORTH'. (See the US trailer HERE.) Our exclusive screening will include a special video introduction by the film's producer, Claus Toksvig Kjaer. This truly is a very beautiful and remarkable indie, animated film and we are extremely honored to be allowed to offer you this exclusive bonus item to our screening. A huge THANKS goes out to the film's US distributor, SHOUT FACTORY, for making this possible! $15 BUY YOUR AWARDS SHOW & MOVIE TICKETS HERE! $35 BUY YOUR ALL-EVENT PASS TICKET HERE! Each month throughout the year Tony White issues a drawing challenge through his online 'ANIMATOR'S SKETCHCLUB', with the winners of each monthly challenge earning themselves a special digital award. An exhibition of all the winner and runners-up work from the last year will be screened at a FREE festival gallery that will be located in the 1st floor lobby at SIFF. Do come and see some of the truly amazing work that the animation-inspired members of the Animator's Sketchclub contributed in 2016! We anticipate that the 2017 DRAWTASTICON festival will finish up at around 9.00pm(ish). 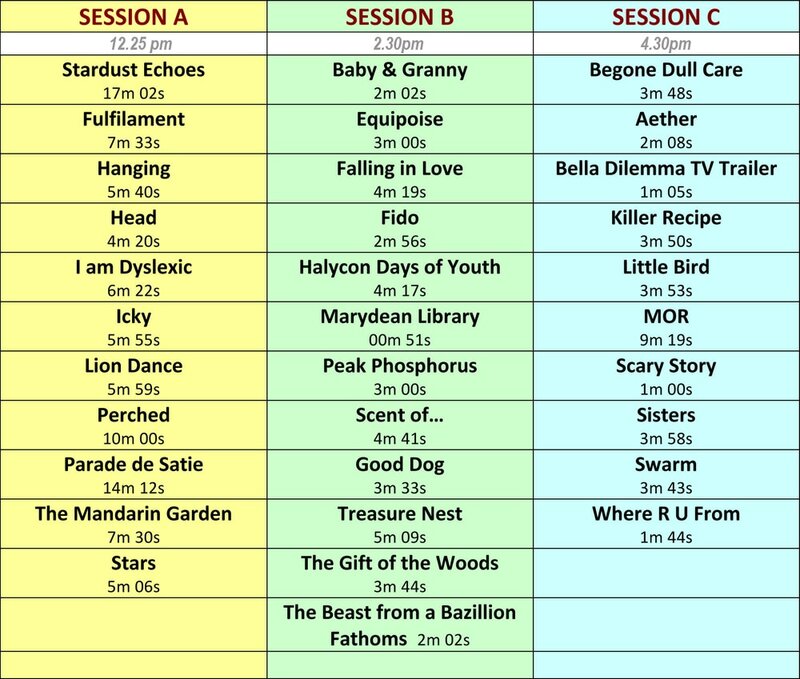 The following shows the order of films being shown during out 3 screening sessions. 'Session A' is a much longer, 90-minute screening session containing the longer films that have been entered. 'Sessions B' and 'C' are shorter screening sessions but also include a unique guest speaker workshop.